This song began life several years ago as a midi file. RTs were just coming out and Russ DeMussell of the Forum offered to add some RTs to the mix at the time. He did a good job and even did his own version. In the last year I decided to change the intro, drop some of the midi voices and add some RTs because I had been fully indoctrinated. Thanks to Mario DeLaura of the Forum for hearing the glitches and helping me balance what my ears couldn’t catch in the new mix. I think this mix works, but I want to know if any of you listeners think that something isn’t right. Hope you enjoy. 25 years he'd been living on a prison rock pile. Went to the closet and threw out all that she'd left. For an i-pod to go. He's a fire that's just starting to burn. Pickin' and grinnin' singing "Oh! Susanna"
Of his time spent alone. Tiger on the run, he's a tiger on the run. You know I like this one! The lyrics are top notch IMHO. Nice work. Excellent production. Thanks for sharing! I just realized that I haven't yet comment on this song. I thought I had because I listened to the music a little while back. Old age, I guess! There's an awful lot to like about this song You're lyrics won me! I was captivated by your fresh and vivid imagery. Very very inventive lines in here. You're a fine wordsmith! My one suggestion would be to see if changing "starting" in the last line of the chorus to "wanting" or "waiting" makes the song stronger. The reason I suggest this is because for me, the song went from "yippee I'm free! ", in the early verses, to "being free is not all it's cracked up to be", in the final verse. To my mind, "waiting" (or "wanting") can take shades of meaning from "it's about to happen" to "I'm really hoping it's going to happen". In this way, the chorus would serve all three verses and this simple word change might make the song stronger. Then again, it might not! Just a thought It's just that I found myself wondering if "starting" is as versatile in meaning as, say, "waiting" so I'm passing it on for what it's worth. By the way, I love the twist at the end. Also, the emotion of this song is beautifully supported by 7-line verses (which throw one a little bit of kilter and thus enhance the feeling of "not quite so happy after all"). And then you discreetly use some non-perfect rhymes that further enhance this emotion. In my opinion, this is top notch songwriting! It's a great song, Ian. Please note at 5 pm EDT, my web page provider is DOWN. This has been the case since this morning. Sorry - y'all come back now - hear! As of today, Friday July 22 at 4 EDT my ISP's web hosting server is now operating, so the Tiger on the Run link is operative. So Tommy - give it another try and let me know how you make out. Robert - thanks for your kind comment - and good luck on the 50/90. That’s weird. I just checked and it worked for me. I’m using IE8. What are you using? As to your link not working, I had a hard time getting it to play in Firefox, so I went to IE, and it played just fine. So Tommy, you might try it in IE. You had heard this song two years ago but it needed to be refurbished. This song went through changes structurally when I decided to cut some time from it to make it more in-line with Nashville structure when I became a member of Taxi. There was initially a chorus after verse 1 which made "starting" more apropos, verse 2 and chorus also had the "yippee I'm free" feel. By verse 3 and chorus 3 (now 2) there's been a big passage in time , but he's caught remembering the "good times" back when he was "yippee I'm free". Singing-wise, I prefer the way that "starting" can be punched up, spit out and played with vocally. What you say is valid but maybe there needs to be a better tie lyrically between Verse 3 and what is now chorus 2. 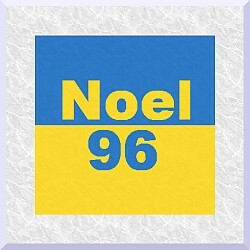 I respect your opinion - thanks for passing that on, Noel. I was surprised that nobody's singled out "giggling spasm" yet. Thank you for the comments about my writing - I find I often push limits trying to say something differently. You do very well. Google Chrome says "missing plugin". Which one do I need? The file is a wma that starts from an html page - I'm not sure what the add-on name is. I'm not familiar with using Google Chrome - must give it a try. I would think that with Windows on your computer, that you would have Windows Media Player. I'll try it with Internet Explorer. I just don't like the new version, that's why I use Google Chrome. I'll let you know. Cool song, (It worked with Internet Explorer.) I like it. Guido - Glad it worked for you. Thanks for taking the time to listen. Song has a great feel, but it seems to get a little lost lyrically because of the Rhyming Scheme - or rather the lack of one. The first verse seems to establish the Rhyming Scheme as an AABCCDD or thereabouts as you rhyme first and second lines - "Morning" and "Dawning" and fourth and fifth lines - "Enthusiasm" and "Spasm"
Unfortunately, you lose it completely in the second verse where you have "Windows" and "Perfume" and then "Flowers" and "Lovers" on those lines. By the third verse you have a rhyme back on the first two lines with "Alabama" and "Susanna", and none at all with "Music" and "Sunday"
The DD Rhymes on the last two lines you've held throughout the song. This, for me, causes the lyric to stagger rather than flow. Ideally,and usually, the first verse of a song should establish the Rhyming Scheme of a song which should then be followed throughout. There are exceptions to this obviously, but it is the norm. I've taken the liberty of adding a couple of links below which address the subject of Rhyme Schemes for you're perusal should you be interested. I'm always loathe to critique a fellow songwriters work, but I just feel this could be really good with a little re write here and there. Only my opinion however so feel free to ignore me. Thanks for weighing in on this and you make valid points about lyric rhyme - I read the links as well. I think this whole subject of rhyme would be well-suited for the Off-Topic Forum because there are different ideas on how to construct song lyrics. My belief has always been that I don't sacrifice my story in an effort to find an exact rhyme. tends to keep song concepts pretty simple . . . or steers you story for the sake of the rhyme. I use a lot of near-rhymes in the search for story ideas, or holding to story ideas. In fact I have a song that I posted here titled Should You Find Me and is on my webpage, that was mostly blank verse - amazing to me but that's the way the song came out. Ultimately, lyric construction is what we feel comfortable with individually - mind you we can also get too close to the song, so it never hurts to have a closer look. And you've given me reason to have a second look, and for that I thank you for the input. I think the current lyric structure works here, but probably wouldn't work with another type of song. This is a very interesting link about rhyme and near-rhyme - which is very valid. I finally got to hear it Ian ,mixing sounds good and I just love your band ! I'm glad you only wrote those "g's" ( cuz the g at the end of words is sighlint )in your lyrics instead of sangin them . Good job Ian ! Hey Tommy glad you got to listen to the letters that weren't missin'. Are you delivering me a subtle/not so subtle message that I ought to improve my diction, or drop in a few apostrophes in place of the missing "g"s???? Let's chalk it up to singin'/lack of singin' style.